To help optimize your UPVC roof that you use for a variety of buildings such as housing and factories, we provide a wide range of supporting accessories, one of them is VIAR Weatherseal. Viar Weatherseal prevents damage to AvantGuard UPVC Roof by spreading pressure of screw over wider area and seals it from leaks. 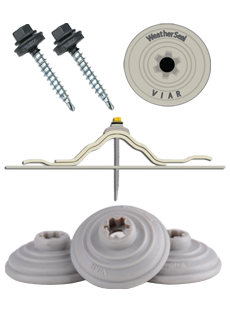 : Use one Viar Weatherseal for each screw during installation. 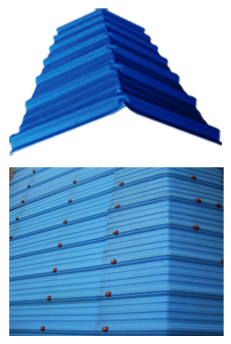 Nok avantguard UPVC roof is the roof top that serves to determine the direction of the building. These accessories have a colour variants adjusted by the base color of your roof UPVC.